Ever read tasting notes and think: “I am not getting any of those flavors…” ? The first time I tasted Glenlivet 12, I didn’t get any of that. But it’s not that your or my palate isn’t refined enough, it’s that we aren’t experienced enough. We haven’t drank enough whisky! 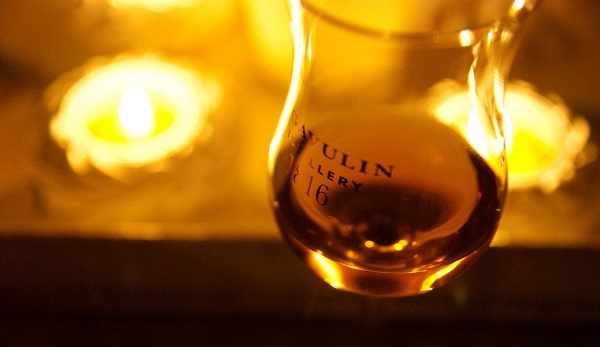 Enjoying whisky is a lot like listening to an orchestra. You can enjoy it as the sum of its parts. You can enjoy it for its individual instruments. If you’ve never heard a violin on its own, you won’t be able to listen for it in an orchestra. Someone could tell you the first chair violinist is absolutely phenomenal but until you’ve heard a violin, you’d have no idea. For instruments, it’s easy – fire up Youtube and you can hear a violin. You can hear how it differs from a viola and a cello. Now go back to the orchestra, can you tell the violin from the cello from the viola? It’s a little harder now that you have all the other instruments going at once. That illustrates the struggle with tasting notes and whisky. And you can’t download, as easily, the flavors of pressed apples, cinnamon, apple cores (vs. apples!) and trifle (what???). The only real solution is to find those flavors and scents and experience them. 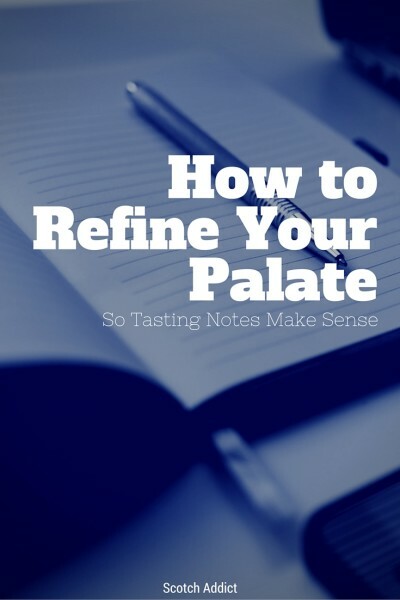 When whisky tasters, especially the seasoned veterans, talk about certain scents and notes, they’re talking about a very specific note. For orange peel, they’re usually talking about that bitter citrus note you get when you scrape the peel of an orange with your fingernail. That’s very specific. It’s not the pith, it’s not how the oil itself, but the intersection of the bitterness of the outer skin PLUS the oils. What’s the difference between toffee and caramel? As someone who doesn’t eat the candies that often, it’s a subtle difference. Toffee is sugar and butter. Caramel is sugar and cream or milk… sometimes with butter too. The subtle difference is the creaminess of milk. Good luck buddy. In end, it’s about enjoyment. Some “expert” might say that he or she gets this note or that. Hint of lilac, avocadoes, and an unripe grapefruit! Whatever. It’s about enjoying it. For some, the fun is in discovery. I’ll take a sip from a glass, taste one thing and five minutes later, taste something completely different. Part of that is the alcohol evaporating in the glass, part of that is just my palate acclimating, and part of it is that you can only focus on one instrument in an orchestra. If you tune into the violin, it’s hard to hear the flute at the same time. When I first started drinking whisky, I’d pour it into a glass with some ice. I’d always seen it enjoyed that way in the movies so that’s how I did it. It wasn’t until later that I realized how much I was missing by putting it in a glass with ice. You see, not only was the water diluting the spirit but by changing the temperature of the whisky, I was affecting how my taste buds were perceiving them. A study back in 2005 revealed that temperature affects our taste buds. The science of it might be difficult to follow but basically the colder something is, the less sweet, umami and bitter tasting it will be. Warm it up and any existing flavor will seem magnified, since the cold isn’t affecting our taste buds. That’s why melted ice cream tastes so sweet. In the beginning, drop a little water in it. Water will lower the percentage of alcohol and quiet the “noise.” It’ll let you taste the more delicate flavors. It’ll “open” up, to use a fancy term. I don’t ever recommend ice, it’s simply too much. Eventually, you’ll want your whisky neat and sometimes it just takes a little training to get there. Whenever a friend who doesn’t drink a lot of Scotch finds out I have a blog about Scotch, they want me to help them get into it. I’m all for being an ambassador! But rather than repeat myself over and over again, I thought this blog post could do the repeating for me. For picking your first, or picking a first for a friend, it’s valuable to know their preferences as compared to other beverages. If they’re a fan of whiskey to begin with, you’re basically 95% of the way there because, as you know, Scotch is whisky produced in Scotland! I know a lot of people who love Bourbons because it’s relatively cheap (being made in the US means you avoid a lot of taxes!) without sacrificing much in the way of quality. Bourbon is sweeter because of the higher sugar content of corn and so a nice introduction would be something on the sweeter, fruitier, floral side of the Scotch spectrum. The same logic could be applied to gins and vodka, which differentiate themselves from one another based on those fruit and floral notes. Rums are often sweeter too since it’s made from sugar/molasses. Skip the islands, where you get more smoke and medicinal flavors from the phenols. At this point, it sounds like anything you could possibly think of them liking points you towards Speysides/Highlands and away from Islays and the Islands. Well, if they’re a fan of craft beer, do they prefer hoppy beers like IPAs? Or wheat beers? Or do they enjoy them all? If the answer is IPAs, like Dogfish 120 Minute IPAs and 90 Minute IPAs (IBUs of 120 and 90 respectively) then you might introduce them to an Islay. Islays have a powerful flavor profile because of the phenols and they won’t be put off by it. The goal with picking the right first bottle of Scotch for someone new to Scotch is to make sure it’s a gentle introduction. It’s a first date, not a proposal. So it’sa bout finding something that closely fits what they enjoy and then let the experimentation come after. As mentioned earlier, I like to match it with something they already enjoy. This is where your experience will have to come into play – based on what you know, try to match them with a Scotch production area that meets the general profile. From within that area, you can pick a distillery you’re familiar with. The major areas are Lowland, Speyside, Highland, Campbeltown, and Islay. My basic rule is that if they like fruity and floral, go with Speysides and Highlands. If they like a bit of punch, a campfire-ness, go with an Islay. As an aside, these rules are very very general. Not all Speysides are the same, just as not all Islays are the same, but I use these shortcuts because they’re good enough. For example, pop open a Highland Park and you’ll get a little bit of smoke despite it being a Highland. On Finishes: Finishes are tricky for a first bottle because they’re often more expensive (more on price later) and they introduce characteristics that can be fun, especially if your friends enjoy the other finish. For example, I love port so Laphroaig Cairdeas was a great bottle for me but it vaguely resembles a Laphroaig. I would hold off on a finish until later with the exception of sherry oak. Try to stick with the 40-43% ABV standard and avoid any cask strength expressions. If they’re new to enjoying Scotch neat, then sipping a beverage that’s 40% alcohol will be a bit of a shock. Even if you add a few drops of water or an ice cube (please don’t add an ice cube… please please please don’t), it’s still a lot. Give them a beverage that’s 58.5% abv (Macallan’s Cask Strength) and you’ll likely burn their taste buds off. Go gentle and go low. I like to stick with the middle of the road in terms of price. I don’t want those super-cheap blends but I don’t want to start my friends off with a Macallan 18 YO at $180 a bottle. It’s not that I’m cheap and don’t want to share an expensive dram, it’s that I don’t want ruin average Scotches for them. Macallan 18 YO is a good Scotch, you can ask anyone regardless of their preferences, but how does it compare with a Glenmorangie 10? Glenmorangie 10 is a perfectly fine whisky, I enjoy it often and I love their line of finishes to boot, but it doesn’t compare. It can’t compare. 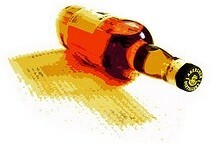 Glenmorangie 10 costs only $37 while Macallan 18 costs a whopping $180. It’s like pitting the a AAA baseball team against a Major League team – it’s just not fair. And it’s not fair to your friend! He or she has now sampled this awesome Scotch, now loves Scotches, but everything he or she will buy that’s not $180 a bottle will taste bad by comparison. It’s better to introduce them to a $37/btl dram and then move your way up the price spectrum so they can appreciate it properly. These recommendations are based on my experiences but also what I think is widely available and easy to get. If your budget is the lowest of the named single malts, which is around $35-45 a bottle, then the best introduction is the $40 per bottle Glenfiddich 12 YO. Glenlivet 12 is nice too but the spicy finish might put someone off and have them mistaken the spiciness for high alcohol content. 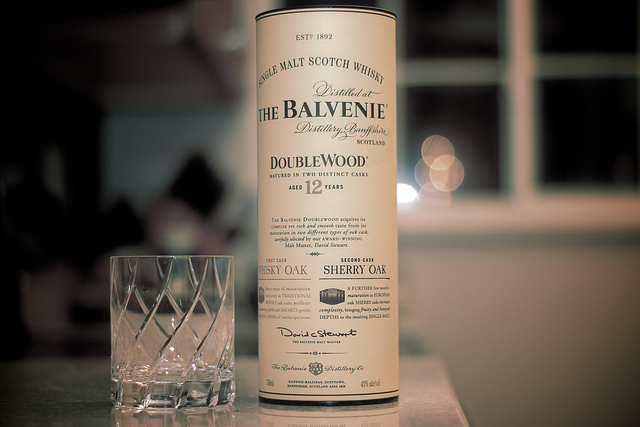 Interestingly enough, if my memory serves me correctly, my first bottle of Scotch was actually a Balvenie DoubleWood 12. It’s a 12 YO that’s finished in ex-sherry and ex-bourbon barrels and very affordable, very tasty, and already breaks the guideline I mentioned in the section on finishes! (Heck, I might as well really break the rule, if your friend is a fan of sweetness, give Auchentoshan Three Wood a try… it’s pricier, more like $60-65 a bottle). If they want to know what smokiness and peatyness is, go with a Laphroaig 10 YO (~$50). You have smoke and peat but it’s not overwhelming if you like that sort of thing (if you don’t, it is overwhelming). It’s not as medicinal as a Lagavulin and not nearly as peaty as Ardbeg, so you have a sense of Islay without being overwhelming in any one area. If they want smoky but are a little scared of an Islay, Highland Park 12YO (~$50) is a nice compromise. It’s like a richer floral sweetness with smoke, without the smoke being dominant and pushing everything else out. What’s your recommendation for a “first bottle” of Scotch and why? I just read Alyssa Bereznak’s description of how she was introduced to Glenlivet Alpha by way of a sensory deprivation chamber and a process that I thought would be fun. She described it as a torture chamber! We were ordered to “nose” the glass. “Really allow that magnificent bouquet to waft over you,” he said, barring us from actually “mouthing” the glass, which is what most of us were there to do. Our guards quickly removed the tumblers from our hands and replaced them with one full of fragrant cinnamon. We were forced to inhale. My throat threatened to cinch itself shut. Next came a container of fresh-baked oatmeal cookies, which we were not allowed to eat, only fleetingly sniff. In a move straight out of Torture 101, the tin was torn from our hands after the briefest of sniffs. They were trying to break our spirits. Next came the scent of liquid vanilla extract. Then came more “nosing.” How much can one person endure? One of the most fun experiences I had was when I visited The Macallan and took their distiller tour. Part of the tour included a hallway filled with glass jars of various common “notes” people mention when talking scotch. It was there that I learned the huge difference in what experts mean when they say dry fruit versus fresh fruit. One of the reasons why I enjoy scotch so much has to do with the complex flavor profiles. It always amazes me how many subtleties there are in the spirit when you consider the main components are the same. When I visited the Macallan distillery and took the tour, we were treated to a little aromatics museum that had glass jars holding the various “flavors” many people reference. I learned the difference between “dried fruit” and “fresh fruit” flavors, which is a difference you can only learn when you smell the two side by side. It’s hard to nose a particular note if you aren’t sure what you are smelling… it’s like trying to pick out the cello in an orchestra when you’ve never heard the cello, viola, or violin. That’s where this fun flavour map comes in. Building up a framework is important in helping you enjoy anything, scotch included.